JUSTICE SCALIA delivered the opinion of the Court with respect to Parts I, IV, and V, concluding that the Florida Supreme Court did not take property without just compensation in violation of the Fifth and Fourteenth Amendments. Pp. 24–29. (a) Respondents’ arguments that petitioner does not own the property and that the case is not ripe were not raised in the briefs in op-position and thus are deemed waived. Pp. 24–25. (b) There can be no taking unless petitioner can show that, before the Florida Supreme Court’s decision, littoral property owners had rights to future accretions and to contact with the water superior to the State’s right to fill in its submerged land. That showing cannot be made. Two core Florida property-law principles intersect here. First, the State as owner of the submerged land adjacent to littoral property has the right to fill that land, so long as it does not interfere with the rights of the public and of littoral landowners. Second, if an avulsion exposes land seaward of littoral property that had previously been submerged, that land belongs to the State even if it interrupts the littoral owner’s contact with the water. Prior Florida law suggests that there is no exception to this rule when the State causes the avulsion. Thus, Florida law as it stood before the decision below allowed the State to fill in its own seabed, and the resulting sudden exposure of previously submerged land was treated like an avulsion for ownership purposes. The right to accretions was therefore subordinate to the State’s right to fill. Pp. 25–27. (c) The decision below is consistent with these principles. Cf. Lucas v. South Carolina Coastal Council, 505 U. S. 1003, 1028–1029. It did not abolish the Members’ right to future accretions, but merely held that the right was not implicated by the beach-restoration project be-cause of the doctrine of avulsion. Relying on dicta in the Florida Supreme Court’s Sand Key decision, petitioner contends that the State took the Members’ littoral right to have the boundary always be the mean high-water line. But petitioner’s interpretation of that dictum contradicts the clear law governing avulsion. One cannot say the Florida Supreme Court contravened established property law by rejecting it. Pp. 27–29. JUSTICE SCALIA, joined by THE CHIEF JUSTICE, JUSTICE THOMAS, and JUSTICE ALITO, concluded in Parts II and III that if a court declares that what was once an established right of private property no longer exists, it has taken that property in violation of the Takings Clause.Pp. 7–24. 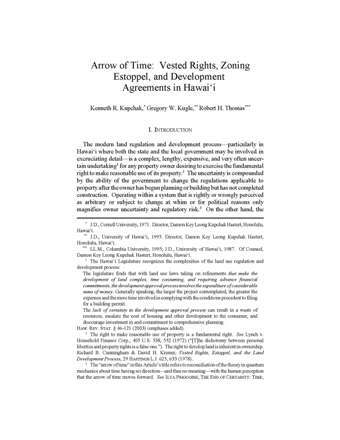 (a) Though the classic taking is a transfer of property by eminent domain, the Clause applies to other state actions that achieve the same thing, including those that recharacterize as public property what was previously private property, see Webb’s Fabulous Pharmacies, Inc. v. Beckwith, 449 U. S. 155, 163–165. The Clause is not addressed to the action of a specific branch or branches. It is concerned simply with the act, not with the governmental actor. This Court’s precedents provide no support for the proposition that takings effected by the judicial branch are entitled to special treatment, and in fact suggest the contrary. See PruneYard Shopping Center v. Robins, 447 U. S. 74, Webb’s Fabulous Pharmacies, supra. Pp. 7–20. (b) For a judicial taking, respondents would add to the normal takings inquiry the requirement that the court’s decision have no “fair and substantial basis.” This test is not obviously appropriate, but it is no different in this context from the requirement that the property owner prove an established property right. 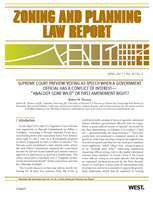 Respondents’ additional arguments—that federal courts lack the knowledge of state law required to decide whether a state judicial decision purporting to clarify property rights has instead taken them; that common-law judging should not be deprived of needed flexibility; and that applying the Takings Clause to judicial decisions would force lower federal courts to review final state-court judgments, in violation of the Rooker-Feldman doctrine, see Rooker v. Fidelity Trust Co., 263 U. S. 413, 415–416, District of Columbia Court of Appeals v. Feldman, 460 U. S. 462, 476—are unpersuasive. And petitioner’s proposed “unpredictability test”—that a judicial taking consists of a decision that “constitutes a sudden change in state law, unpredictable in terms of relevant precedents,” Hughes v. Washington, 389 U. S. 290, 296 (Stewart, J., concurring)—is misdirected. What counts is not whether there is precedent for the allegedly confiscatory decision, but whether the property right allegedly taken was well established. Pp. 20–24. JUSTICE KENNEDY, joined by JUSTICE SOTOMAYOR, agreed that the Florida Supreme Court did not take property without just compensation, but concluded that this case does not require the Court to determine whether, or when, a judicial decision determining property owners’ rights can violate the Takings Clause. If and when future cases show that the usual principles, including constitutional ones that constrain the judiciary like due process, are inadequate to protect property owners, then the question whether a judicial decision can effect a taking would be properly presented. Pp. 1–10. JUSTICE BREYER, joined by JUSTICE GINSBURG, agreed that no unconstitutional taking occurred here, but concluded that it is unnecessary to decide more than that to resolve this case. Difficult questions of constitutional law—e.g., whether federal courts may review a state court’s decision to determine if it unconstitutionally takes private property without compensation, and what the proper test is for evaluating whether a state-court property decision enacts an unconstitutional taking—need not be addressed in order to dispose “of the immediate case.” Whitehouse v. Illinois Central R. Co., 349 U. S. 366, 373. Such questions are better left for another day. Pp. 1–3. The opinions can be downloaded here. More to follow after we've read them all.